I read this article and found it very interesting, thought it might be something for you. The article is called Did Money Eat Our Brains? 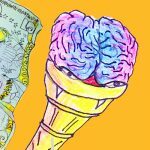 and is located at http://evonomics.com/money-shrink-brains/. Human brains have been getting smaller for ten or twenty thousand years. After growing rapidly for a couple of million years, doubling from roughly 750 to 1,500 cubic centimeters, human brains have shrunk by about ten percent over just ten or twenty millennia. (So they’ve been getting smaller maybe twenty times faster than they got bigger.) Imagine taking an ice cream scoop out of your brain. That’s about the size of it. What’s with that? Absent some remarkable confluence of brain-enhancing mutations ten or twenty thousand years ago (none discovered so far), we have to assume that our memory and/or processing capacity is less than it was. Big brains are darned expensive to build and run (in addition to killing lots of mothers in childbirth), so there’s serious natural-selection pressure preferring smaller ones. But how did those pressures shift to alter the cost/benefit tradeoff so rapidly, opting for smaller brains and presumably less capacity? There are quite a few theories and speculations explaining our vanishing gray matter. You can read some about them here. None has gained wide acceptance. Several have been pretty thoroughly rejected. I’d like to suggest another: money did it to us. The most popular explanation these days for humans’ million-year brain expansion is the need for social accounting in steadily larger and more complex groups. Keeping track of all those interactions with all those people over a lifetime is a memory- and processor-intensive task. Add to that: gossip, language’s unruly stepchild — keeping track of what all those people said about all those other people’s interactions. Those with the brain power to manage that memory (and so “win” that complex social game) ended up with more grandchildren. Voilà: bigger brains. So what happened back then to lessen those brain-power demands and advantages? In one word, writing. And in its earliest forms, writing just consisted of tallies. Tallies of various types extend back tens of thousands of years, and became widespread in the last ten or twenty millennia. (So the timing fits.) These tallies are numeric accountings, employing some unit(s) of account to tot up the value of tribute goods, services rendered, commodities, everyday exchanges, dowries, bride-prices, and endless others. Tallies using arbitrary units of account constitute the social-accounting technology we call “money.” (This is all long before coins were invented, around 700 BCE.) We think innately in terms of something resembling balance sheets, though not of course of the formal variety that emerged with double-entry accounting. We see similar “tallying up” and later reciprocity in some animals, but to a far lesser degree. Written tallies provided a way to keep track of some portion of those social interactions and relationships — gives and takes, owning and owing — clearly a portion that was considered important, or they wouldn’t have been written down. Accounting tallies won’t help you remember your brother-in-law’s report of what your second cousin said about your sister’s boyfriend, but they will save you from having to remember that he owes you something for the two pigs and the bushel of yams you gave him three years ago. The memory-offloading utility of writing then expanded vastly five thousand years ago, when it started to encompass words — the infinite expanse of combinatorial language. Those with smaller brains who took advantage of this outsourcing technology could succeed as well as big-brainers, without sacrificing calories (and childbearing mothers’ lives) to those big brains. They had more grandchildren, and smaller brains spread through the population. In short, the technology of money (then writing), passed down through cultural learning, changed the selection pressures on human evolution. The benefit-to-cost ratio of big brains went down, so brains got smaller. This same process affected almost every part of our bodies. Because of our inventions, both technological and social — transmitted and spread through cultural learning and cultural evolution — we’re almost certainly much weaker than our common ancestor with chimpanzees. (An adult male chimpanzee is strong enough to break a man’s back.) Our weak and ineffectual bodies have co-evolved out of our cultures to the point that without our culturally transmitted knowledge and practices, we simply could not survive. It’s possible that — for better or for worse — we’ve evolved to the point that we couldn’t survive without money. That may or may not be a scary thought. But when it comes to outsourcing our brains, ask yourself: can you remember your best friend’s phone number without checking your smart phone? Another way to think about it: we’ve domesticated ourselves. Domesticated animals have smaller brains than wild animals, presumably because they’ve outsourced some of their brain-work — to humans. We’ve outsourced it to…other humans, the human collective, the “hive mind” that collects, retains, and transmits cultural learning, and to the technologies transmitted through culture. We are nature’s best learning and teaching machines. Money is one prime example of a core human technology that evolved and spread through culture, and cultural learning. Our evolved, innate ability for that kind of cultural learning is — to co-opt the title from Joseph Henrich’s great book — the secret of our success. Credit for much of the thinking here should go to him. * Socrates was speaking, and Plato was writing, in a time when bards could still sing all twelve books of the Trojan cycle from memory (we’ve got two of those books, the Iliad and the Odyssey). More precisely, they could sing-and-improvise, inserting familiar “pop-music” jingles, epithets, and catch-phrases that made the words and music both metrical and memorable — and catchy. But those bards were disappearing, even as writing became widespread. Socrates and Plato were witnesses to, and Plato was a practitioner of, the very cultural transition described here — just as we are witnesses, today, to the brain-eating effects of the iPhone. 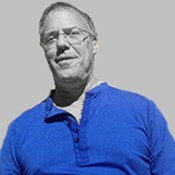 This entry was posted in Human Nature and tagged featured. Bookmark the permalink.